RESIDENTIAL CONSTRUCTION DONE RIGHT THE FIRST TIME! UNIQUE FEATURES IN EVERY HOME! 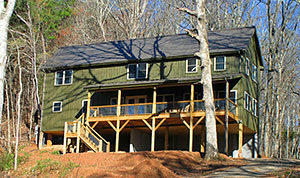 Our focus is Asheville Residential Construction. Osborne Residential Construction is a leading residential builder in the Asheville North Carolina area and all of Western North Carolina, we focus on Asheville Residential Construction. Osborne Construction Company, a family-owned business, has been bringing quality construction to the Carolinas since the early 1980’s. Founded by Will Osborne and now owned by Will’s son Jeff, we have been involved in many facets of construction throughout our company history. We have experience in both residential and residential construction, ranging from home remodeling to large residential projects.This diverse experience has given us great insight into the needs and wants of our customers. Our team has been trained in all aspects of our work, and we focus on getting the job done right. We love what we do and strive for total customer satisfaction. Together with your business vision and our construction experience we can create a space that works for your company. What this means is, you can come to us with an idea and we can take it from there. We know all the right people. From architects and engineers to the locksmith that hands you the keys to your new building. We can put your building vision in place. Osborne Construction has extensive experience in all types of residential renovations. Whether it be a new kitchen remodel, a room addition, an outdoor sunroom or any residential project we are here to help. 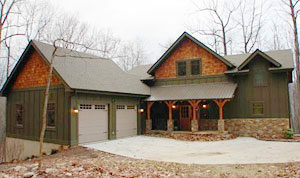 Osborne Residential Construction is a full-service General Contractor. 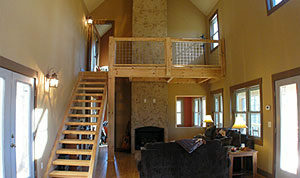 We can manage your entire new construction or home renovation project. From working with sub-contractors to dealing with city inspectors we can handle it all. Jeff captured the beauty of timber frame when he created our dream home in the mountains. We loved it so much we were compelled to turn it into RiverDance Bed and Breakfast, so that others could enjoy it’s beauty for years to come. I hired Jeff’s company to custom build my house. Based on a picture of an existing cabin, I made design changes and modifications that I wanted to be incorporated into the finished product. Jeff was extremely easy to work with and helped guide me through the entire process. He is a pleasure to work with.